The Window Company (Contracts) Ltd has become the first ever GGF Member to achieve a Gold rating in the GGF GLASS Charter Merit Scheme, taking a giant leap into the health and safety record books. 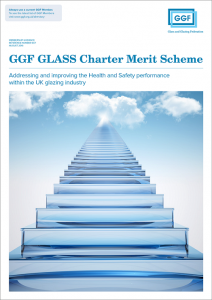 Described as ‘the pinnacle of good Health and Safety management’, the Gold level of the GGF GLASS Charter Merit Scheme is awarded only to companies that can demonstrate that a health and safety culture is embedded right across their business and that the very highest standards are adhered to at every level. 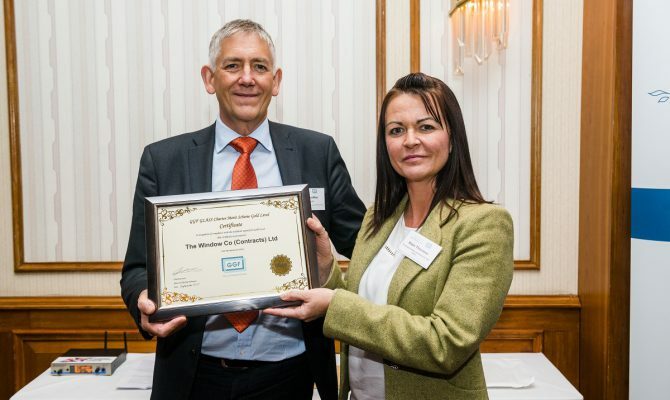 For this reason the GGF is proud to announce that The Window Company (Contracts) Ltd has become the first ever GGF Member to graduate from Silver to Gold in the GGF’s roadmap scheme for continuous Health & Safety improvement. The team from the Chelmsford-based commercial window and door installer made history by successfully upgrading from the GLASS Charter Level Silver 3 which they received last year, having completed the final piece in the jigsaw: eliminating the need for their fitters to climb onto the roofs of their vans to remove ladders. In fact the company has come up with an innovative solution that it says could be rolled out to other installers aiming to achieve the same level of health and safety compliance. It has worked with a specialist van supplier to develop a brand new mechanical lifting system which sits in the centre of the roof to lift and lower the ladders. 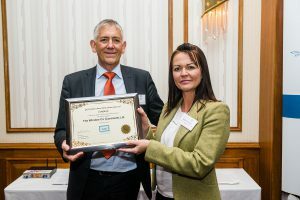 Katie Thornton, Director of Compliance and Administration at The Window Company (Contracts) Ltd accepted the Gold award on behalf of the company from GGF Group Chief Executive Kevin Buckley at GGF Members’ Day, held on the 12th of September at The National Conference Centre. The GLASS (Goal: Less Accidents, Safer Sites) Charter Merit Scheme aims to improve Health and Safety performance in all sectors by providing best practice guidelines, advice and actively encouraging industry to take up the challenge of improving Health and Safety performance whilst embracing innovation. Through this merit scheme, the GGF supports its Members in their efforts to continuously improve their Health and Safety profiles. The scheme is open to all GGF Members no matter the size of the business – from sole traders to multi-national companies. 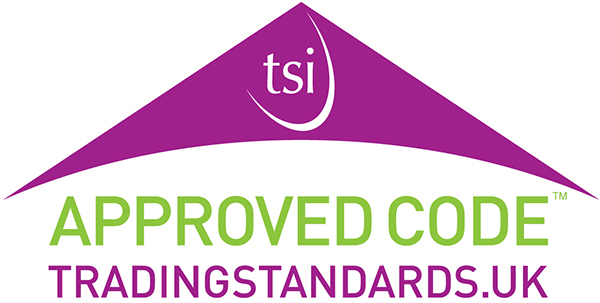 The unique advantage of the scheme is that it focuses on systems appropriate to the size and nature of the business whilst applying a set of common standards.